The simplified system of taxation (SST; chapter 26.2 of the Tax Code) is a special beneficial tax regime extended to small and medium size enterprises (as defined in Chapter 26.2.). Unlike the tax on imputed income (see below) it is a voluntary regime for which the taxpayer can opt for. The simplified system of taxation replaces the normal rules of profit tax, exempts from the liability to charge VAT for services and goods sold, and provides (for certain types of businesses) benefits on employer’s social contributions. Previously companies on SST where exempt from keeping accounting records in accordance with the general rules, but this exemption has been cancelled effective of 2013. Companies under the SST regime are not payers of value added tax meaning that they do not charge VAT from their clients, however such taxpayers pay normally the VAT charged by their suppliers. They also must pay the VAT charged at customs on imported goods. These companies also follow the normal VAT regime in relation to joint activity agreements (simple partnerships), trust management and concession agreements. 2. To qualify no less than 75% of the company’s shares have to belong private individuals (without regards to nationality) and only 25% can be held by other legal entities. 3. The company applying SST is not allowed to have any branches or representative offices. 5. Companies under the SST regime may employ maximum 100 people (on an average during the year). 6. Book value of fixed assets (including intangible assets) may amount to a maximum of 100 million rubles (approx.3 million US dollars). In addition to the other restricting criteria there are restrictions in regards to the maximum permissible sales volumes for businesses wanting to apply the SST tax regime. The restrictions are two-fold: (i) concerning the sales volumes of a business that wants to transfer to the SST tax regime, and (ii) concerning the right to continue applying the SST regime. A company may apply for SST if during nine months of a calendar year (preceding the year of entering into the system) its net sales revenue does not exceed 45 million rubles (presently approximately one and a half a million USD dollars). A newly registered company has the right to apply the SST regime from registration (thus not being restricted by historical sales figures). An application to transfer to the SST will have to be filed with the local taxation inspectorate between October 1 and November 30 of the year prior to the planned transfer. A newly registered entity has the right to register under SST anytime within 5 days from registration. The maximum permissible sales volume for companies operating the SST system is 60 million rubles. 8. For further qualification criteria we refer to the law (Tax Code art. 346.12). Once a company has started applying the SST it is not allowed to transfer back to general taxation regime before the end of the tax year unless its revenues surpass the thresholds or other qualification criteria are violated. 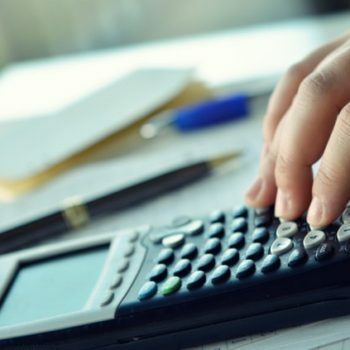 In case of surpassing the revenue limits the general rules for taxation will automatically apply from the beginning of the quarter in which a company’s revenues have exceeded 60 million rubles. • Taxation of profit 15%. The Regions of Russia are granted authority to lower the rates in the range of 5 to 15% for various categories of businesses. SST companies taxed for profit are required to pay a minimum tax in the amount of 1% of revenue even if there is no profit. However, the company can book the thus paid minimum tax as an expense in the next year to the extent that it represents a surcharge compared with the calculated profit tax (this being available also as a loss carryforward provision). Companies that have chosen gross revenue (as opposed to profit) as the object of taxation may reduce the tax normally due by a maximum of 50 % by deducting amounts corresponding to paid employer’s social contributions. The tax period is one calendar year. The reporting periods are the first quarter, half-year and three quarters of a year. The tax is paid in quarterly advance installments before the 25th of the first month following the end of the quarter. The advance payments are included into the final annual tax payment (art. 346.21 of the Tax Code). The taxpayers that have chosen profit as the subject of taxation can deduct expenses from profit according to a closed list of permissible types of expenses which in much correspond to the rules applicable for regular profit taxation. A new special regime of simplified system of taxation is in force from 2013 for certain individual entrepreneurs engaged in certain types of small business activities (Tax Code chapter 26.5). This tax regime is referred to as the system of taxation by license (actually in Russian “taxation by patent”). This system replaces the now abolished tax regime called ‘simplified system of taxation with a patent’ (346.25.1). In this tax regime the entrepreneur acquires a license (patent) and pays a fixed license fee instead of taxes. Taxation by licenses available for small businesses in certain fields of activities. For example these kind of business activities qualify: Production and repair of clothing; dry cleaners; hairdressers; repair shops; photo shops; transport; travel services; plumbers; electricians; training services; sports instruction; childcare and care for sick; leasing of buildings and land; cleaning and real estate management services; services for forestry, agriculture and food processing; small scale retail. – There is a closed list with 47 line items of various types of qualifying activities. The list of qualifying activities may slightly vary for different Regions of Russia. This taxation regime is available only for small business when the annual sales revenue (for the given activity) is maximum 60 million rubles and when the entrepreneur employs no more than 15 people (including free-lancers and other such contract workers). An entrepreneur may simultaneously also be engaged in other activities for which the license (and its restrictions) do not apply. The entrepreneur does not file tax returns and does not have an obligation to make accounting in accordance with the general law and instead only keep a sales ledger. Such a tax regime may only be enacted by regional laws for separate regions. The validity license is restricted to the issuing region. A patent is issued only within one calendar year; the license always expiring at the end of the calendar year. An entrepreneur using the patent system is exempt from the following taxes: personal income tax (regarding his/her own income but not concerning the obligation to withhold the tax from employees); individual property tax; value added tax. The system does, however, not exempt from employer’s social contributions. In this tax regime the profit tax is not paid according to actual revenue or profit but on formal criteria for the defined business activities. Each Region will determine a hypothetical revenue level for a given type of business under certain circumstances and calculate a 6% tax on that, which constitutes the fee for the license. If the license is issued for a validity less than 12 months, then the fee is paid in proportion to actual months. A license valid for more than 6 months is paid for in two installments, 1/3 in 25 days after the commencement of the license period and 2/3 in 30 days before expiry of license. A license initially valid for less than 6 months is paid for in full in 25 days after commencement of license period. The tax on imputed income is a special tax regime which applies to certain types of business activities (regulated by chapter 26.3 in force from year 2003). The imputed tax regime is foreseen by the Tax Code but requires that it is enacted by a local government (of a municipal area or urban district, or the in order to be in force in the municipality (town, city). At the time of writing, the imputed tax regime was implemented only on the new territories of Moscow, whereas in S.-Petersburg almost all the activities envisaged by Chapter 26.3 of the Tax Code are now covered by this tax regime. The taxpayers are not exempt from paying employer’s social contributions. However, by virtue of art. 346.32 such social contributions may be recovered by way of offsetting them against amounts of the imputed tax (reducing the tax otherwise due by a maximum of 50%). The tax rate is 15% of the imputed income (art. 346.31). The tax period is equal to one quarter of a year. The taxpayers of imputed tax are companies and individual entrepreneurs engaged in the activities that fall under the provisions of this tax regime in the territory where it has been enacted. In contrast to the simplified system of taxation and the system of taxation by license, the imputed tax is a mandatory regime for all those businesses that fall under its scope. 6. Transportation services with a fleet not exceeding 20 vehicles. 9. Temporary accommodation services (hotels etc.). The tax base is the imputed income calculated by multiplying a hypothetically established income level by the amount of physical indices characteristic for a certain type of activity (art. 346.29). The physical indices can be, for instance, the number of workers involved or the square meter size of a parking lot. The taxpayers performing both activities that fall under the provisions of the imputed tax and other entrepreneurial activities are obliged to keep separate accounts on assets, liabilities and business transactions. Individual entrepreneurs are not required to maintain their books in accordance with the accounting law. The Unified Agricultural Tax (Chapter 26.1 of the Tax Code) (“UAT”) is a special beneficial tax regime for organizations and individual entrepreneurs that engage in farming (including fish-breeding). It is a voluntary regime which may be chosen by the taxpayer, provided that the share of his income from farming is not less than 70 % of the total amount of profits. Taxpayers of UAT are not exempt from paying employer’s social contributions but enjoy beneficial rates for these liabilities. The Object of Taxation is the amount of income reduced by the amount of expenses. The Tax Base is a monetary equivalent of the Object of Taxation (arts. 346.4, 346.6, Tax Code). The tax rate is 6% of the tax base. The tax base is calculated according to the general rules for taxation of profit (chapter 25 of the Tax Code) but considering a closed list deductible expenses (art. 346.5) which parallels the one provided for simplified system of taxation. There is, however, a significant difference insofar as the taxpayers in the UAT regime will be able to deduct expenses for acquiring land plots for their entrepreneurial activities (art. 346.5.). There is a provision for loss-carry forward allowing taxpayers to deduct losses of past periods for 10 years. The tax period is one year, whereas the accounting period is six months. So tax declarations must be submitted and the amount of tax be paid every half year within the terms specified by art. 346.9-346.10 of the Tax Code. As individual entrepreneurs the taxpayers under this regime are not required to keep their books in accordance with the accounting law. Awara Group provides professional services in all accounting, tax compliance and financial administration issues and ensure full compliance with Russian statutory financial and tax accounting rules.